WakeMed Brier Creek Medical Park is a state-of-the-art medical office complex offering a variety of outstanding services and convenient outpatient health care to the growing Brier Creek community. 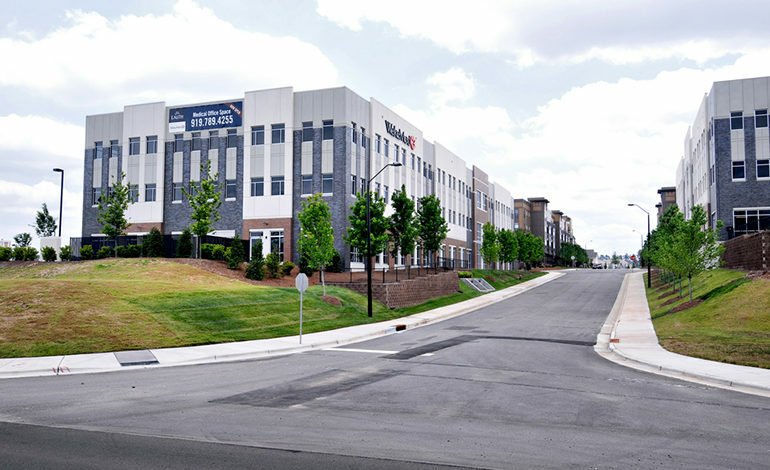 Located just off Brier Creek Parkway, WakeMed serves as the anchor tenant and occupies 20,000 of the 60,000 square foot facility at Brier Creek Medical Park. 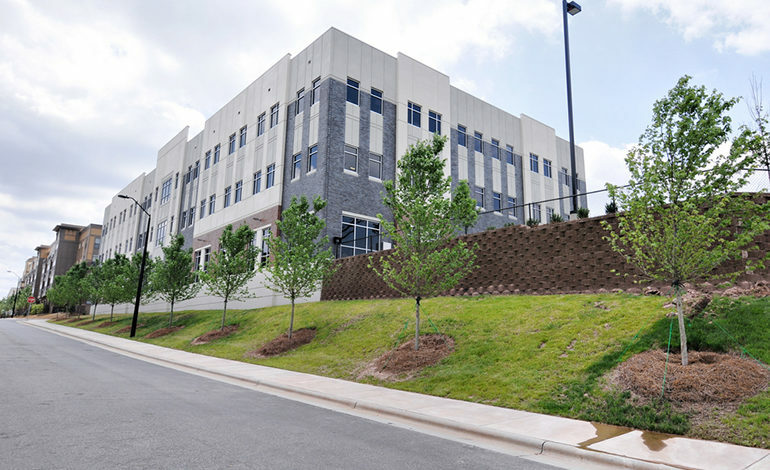 This medical park is situated on 8.5-acres within the Brier Creek Village Center mixed-use development, which McAdams has provided entitlement and design services on since 2004. Lauth Property Group retained McAdams to provide surveying, land planning, site engineering, landscape design and construction administration on two parcels in the Brier Creek Village Center Planned Development District. The professionals at McAdams were able to assist Lauth with providing a design that conformed to the pedestrian-oriented, new urban design standards required in the master planned community, while also meeting all of the necessary criteria to optimize the medical office buildings functionality, including accommodating a mobile MRI facility. In addition to the site planning challenges, McAdams was enlisted to provide creative grading and stormwater management solutions to provide the greatest efficiency and cost effective design in this challenging new urban community. McAdams is proud to have been involved with Lauth on this uniquely high density medical complex in an urban setting at Brier Creek.